What happens when a deaf person, used to communicating physically through sign language, learns to dance? In Dansen in Stilte (Dancing in Silence) we follow five deaf youngsters during their rehearsals for the dance show Moving Lights. What does it mean to dance without music? What is rhythm in silence? Not being able to hear stimulates the other senses and encourages a novel way of physical expression. What happens when a deaf person, used to communicating physically through sign language, learns to dance? 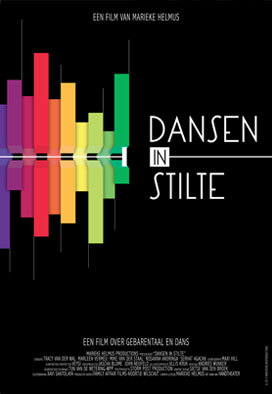 In ‘Dansen in Stilte’ (‘Dancing in Silence’) we follow five deaf youngsters during their rehearsals for the dance show Moving Lights. What does it mean to dance without music? What is rhythm in silence? Not being able to hear stimulates the other senses and encourages a novel way of physical expression. Premiere: March 2013 Eye. Storm did the motion graphics and color grading for this short dance film.